Get some addons. Addons are an obvious go-to method for improving your gameplay, but you’d be surprised how little documentation exists about them inside the game. Essentially, addons allow you to customize your game, change the UI, and otherwise tackle difficult tasks a little more easily. Addons can do many, many different things, so you’ll have to experiment and explore. Addon Spotlight is a good place to start. As a note, I’d caution you not get too reliant on addons and let your skills atrophy; addons are useful, but don’t let them become a crutch. Grab a partner. Guilds are like big families who kill bosses together, laugh together, and wipe together. But unless you’re tearing up the progression charts, you’ll probably still need to run a few heroic dungeons each week to max out your valor points. It helps to have partner when you’re doing these dungeons. Even if both of you are DPS (and thus still get long queue times), then you’ll benefit from simply having a friendly face in the PUG. A partner adds a bit of comfort to the PUG and will hopefully make things go faster. Don’t enchant items you’ll replace soon. If you’re leveling a new character to the endgame, it can be tempting to spend a bunch of cash on every single blue and green drop that you equip. Don’t do it; you’ll be replacing that sucker soon enough, and there’s no reason to feed that cash to the AH monster. At this point, even purple gear at item level 359 should be considered suspect. Take the time to check out what gear you’ll get from Molten Front dailies and valor points. All that stuff is probably worth the cash to enchant, but anything with a lower ilevel is dubious. Caveat: All bets are off if you’re wearing those blue and green items into a raid. Work with your raid group about that stuff. 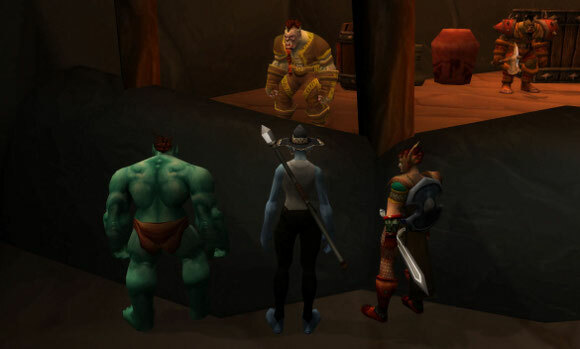 WoW’s economy is inhabited by a class of players who want nothing more than to make as much money with as little work as possible. That’s the dream, anyway, and it’s fair. To accomplish that natural goal, professional AH players ratchet the prices on everything as high as possible. They seek to dominate the market and make everything as expensive as possible. Gaming the auction house isn’t cheating or anything like that, but it doesn’t gel well with your casual or newbie playstyle. Sell your stuff on the auction house, but avoid buying from it unless you absolutely must. Even then, make sure the item you want is worth spending money on.